Our campus is full of different opinions which have formed groups that have touched lives even if only for a short while. The Environmental Club is one such group; it has found its footing this semester with the guidance of Dr. Joshua Kincaid and Environmental Studies major, Ashley Landas. 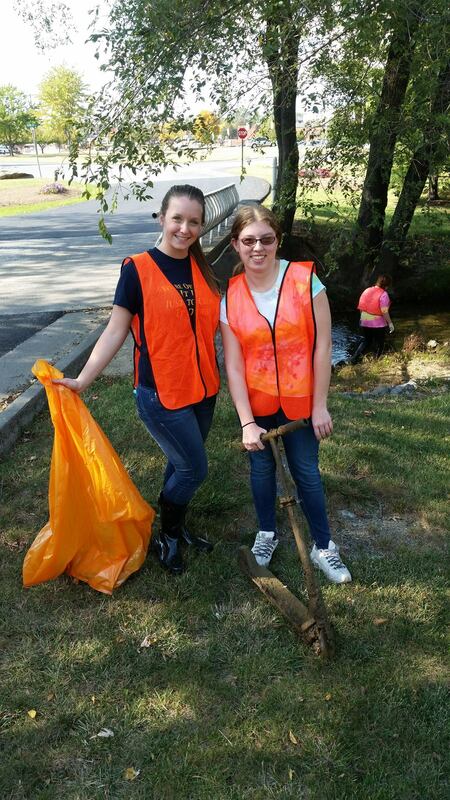 Their desire to create a place for students to learn and explore the different aspects of being involved with the environment has created the base of this club. They hold regular meetings on the second and third Tuesdays of the month at 11 a.m. and welcome all majors to join in. Their meetings are held in Gregory where the members discuss possible events that the campus and community might enjoy. They recently held a walk at Bears Den, which is a favorite local hiking spot with a beautiful vista overlooking the Blue Ridge Mountains and the Shenandoah Valley. They have also been working with companies across Winchester to promote sustainability. In Gregory, they started by putting signs near the light switches to remind people to conserve energy and turn off the lights when not in use. Another event that the Environmental Club is mapping out in celebration of Sustainability Day, which falls on the 22nd of this month, is the riverboat regatta. This would be a joint effort with the various departments and clubs on Shenandoah’s Winchester campus. It entails the students forming teams and using items they recycled to build a raft, which would then be used to race down the Shenandoah River. The group is also looking forward to the joining some local craft shows with hand made and hopefully eco friendly items. The expanse of ideas floating around the minds of the members of this small group is as endless as their desire for the cohabitation between human and ecosystem.